NEWARK, Ohio, August 20, 2014: Licking Rural Electrification, Inc., (dba) The Energy Cooperative plans to construct a new high-voltage, 138-kilovolt (kV) to 12 kV distribution substation in Jersey Township in western Licking County. The substation will be called Smith’s Mill Substation. The Energy Cooperative recently held an informational ground-breaking ceremony on August 27 to discuss the new distribution station. The ceremony was held at the future site of the substation near the intersection of Beech Road and Jug Street in Johnstown, The informational format allowed news media to view project schematics and speak directly to management, board directors and project engineers about the various aspects of the proposed project. Mr. Todd Ware, President/CEO of The Energy Cooperative provided details. The Energy Cooperative will build the new station on cooperative-owned property adjacent to American Electric Power’s (AEP) Jug Street Station. The Energy Cooperative’s Smith’s Mill Substation will be fed from a 138 kV line out of AEP’s Jug Station, which is a 345/138 kV transmission station. Essentially, this provides a highly reliable source of transmission for the Smith’s Mill Substation. Smith’s Mill Substation will initially have one 20 MVA transformer with roughly 12 MVA available for use by new growth. The substation will be designed for a second 20 MVA transformer should the load dictate needing a second transformer. The station will provide feeder exit positions to feed new load in the area while also providing redundancy from the same station when needed. In addition to improving The Energy Cooperative’s distribution system and enhancing reliability, the new substation will provide capacity for economic growth in the area. The station project is an approximate $5.2M investment The Energy Cooperative is making in the area. Construction is targeted to begin fourth quarter 2014 and be complete in third quarter 2015. For additional information please contact The Energy Cooperative at 1-800-255-6815 extension 1250. Please leave a detailed message and a project representative will return the call. The Energy Cooperative, based in Newark, Ohio, is a not-for-profit energy enterprise and serves more than 60,000 electric, natural gas and propane members. The Energy Cooperative is a Touchstone Energy® Partner.  For more information about The Energy Cooperative, visit myenergycoop.com.